Although this post was published 10 years ago, it still makes us laugh. Over the years we have all received gifts that left us scratching our heads in puzzlement. As today is our usual Unitasker Wednesday post, we thought we would update and re-publish this because we all need a little laugh at this time of the year. Remember, we don’t want you to buy these items. We simply want you to have fun reading about all the awful gifts of clutter you wouldn’t really want to give or receive this year. Stumped on what to buy your favorite co-worker or loved one? Consider giving the gift of clutter! Your mother-in-law hates coffee? No matter. Buy her an espresso maker anyway. Get the deluxe version equipped with steamer and grinder. It’ll take up lots of counter space and you can use it when you visit. Heck, buy her two! 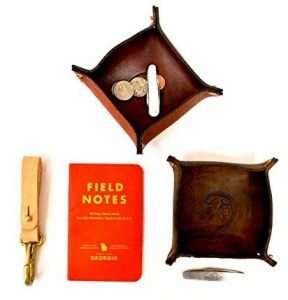 If you really want to yank the chain of the minimalist in your life, buy knick knack gifts. These small shelf stuffers fit any budget. You can get a $10 Statue of Liberty figurine. Inexpensive gifts not your style? 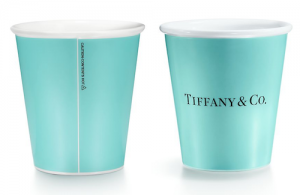 Consider Everyday Objects‘ bone china replicas of a paper cups for only $100 per set. Who needs smart phone apps when you can go retro and deliver a full size, 275-pound, 1981 replica Ms. Pac-man arcade game to an eager child or adult? Cram it into the living room of a tiny studio apartment for easy entertainment. A fun and educational experience on the history of video games can be had by all. For your suburbia-dwelling friends, don’t forget the garden. Call your local rock quarry and have a truck dump off a pile of rocks on your friend’s driveway. They’ll have hours of fun trying to pick up the boulders, one-by-one, and finding the perfect garden spot for each to occupy. For the technically challenged on your list, give the gift of complex electronics that will end up tucked away on a garage shelf. Universal remotes that require setup on a computer and web access are an option. Challenge the recipient to sit with the manual until he or she figures out how to program it. In his post Too many flower vases, Matt asked: “So what can I do with all of these vases?” There is no need to get rid of them when you can let them collect dust in a cabinet! Add to your friends and family members’ collections with a giant vase to obstruct the entrance through any front door. Really, the possibilities are endless when it comes to lovely clutter gifts. Large, small, expensive, cheap — clutter gifts span the world over and can easily provide a lifetime of dust, maintenance, and storage fees for your most treasured friends. What is the most outrageous clutter gift you’ve ever received? Let us know about it in the comments. Cartoonist Lynn Johnston tackled the issue of inherited clutter in her comic For Better or For Worse. In addition to it not creating clutter, one of my favorite things about reading this strip online is that some of the characters blink. Don’t believe me? Click through to Wednesday’s strip and watch the third frame for about fifteen seconds. A “thank you” to reader Katie for bringing this one to our attention. 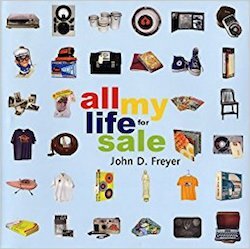 You don’t need to be as hip and PoMo as Freyer to see the benefit of eBay as a tool for turning clutter into cash. I saw an article in New York Times back in 2007 about how teens trying to get quick cash are a great source for cheap electronics on eBay and Craigslist. Especially when you’re about to make a life change, like moving to another city, selling a lot of your stuff, instead of packing it up and paying to ship it, can be a great organization strategy. There’s a moral here for you even if like most of your possessions, thank you very much. Whenever you are uncluttering and you don’t think you can bring yourself to part with some knick-knack, just think of John Freyer and his Star Wars bed sheets. Over the years we’ve written many articles about maintaining an organized bedroom. Today I’ll talk about the faithful nightstand. Other than your bed, the nightstand is likely the piece of bedroom furniture you’ll use most often. Everything from your phone to your current novel rests on this little table, and it can get cluttered. Here’s how to pick a nightstand that’s going to work for you, and keep it tidy in the process. I’m anti-drawer fan when it comes to nightstands. I had a nice old desk next to my bed for years. It had a drawer that I filled with appropriate things: tissues for when I was feeling sick, a book, wallet and keys, and so on. Then I started to put other things in there such as greeting cards, books of stamps, little notebooks, batteries, headphones, small paperback books, and so on. I’d purge the drawer and start again, only to get the same result. The nightstand drawer became my go-to destination for those “Where do I put this?” items. So, I eliminated the nightstand with the drawer and I haven’t looked back. Incidentally, if you’re looking to reclaim a junk drawer, we’ve got you covered. This is one area I still need to update. Currently I’ve got a small desk lamp on my nightstand. It’s great but the base takes up a too much space. A clip-on model would save space and every little bit counts. Many of the items on my nightstand are small, like my keys, pocket flashlight, pocket knife, notebook, wallet, and pens (my Everyday Carry). To keep these bits and bobs from making a mess I use a Sturdy Brothers Catch All. It looks great and keeps all of that stuff together. What else is permitted on my nightstand? My Kindle is there, and my phone, which I use as an alarm clock. Often times I’ll put a bottle of water there as I like to take a drink when I first wake up but that’s it. I realize that different needs will necessitate more or less on a person’s nightstand, as well as the features of the furniture itself. Please chime in. How do you keep your nightstand organized? If you’re a parent, the idea of children completing chores likely makes you tense. Getting the young ones to adhere to their given house chores can be like asking a human-size slug to take the trash out. It will eventually happen but, well …. not quickly. My wife and I recently tried something that worked quite well, and I wanted to share it with Unclutterer readers: The Hour of Clean. The concept behind the Hour of Clean really couldn’t be simpler, and I was surprised by how effective it was. We told the kids, “At 5:00, the ‘Hour of Clean’ will begin.” We listed the available jobs: dust, vacuum, put laundry away, general tidying up, cleaning the bathroom, etc. Everyone made their choices as to which chores they wanted to complete, and at 5:00 we started. The best part of the Hour of Clean: there was no complaining. There was no slacking off. The result, after an hour, was a tidy house. The camaraderie from everyone working (mom and dad included) at the same time, was a great motivation. The set time limit also worked well because everyone knew there was a limit to how much of their day would be spent cleaning. 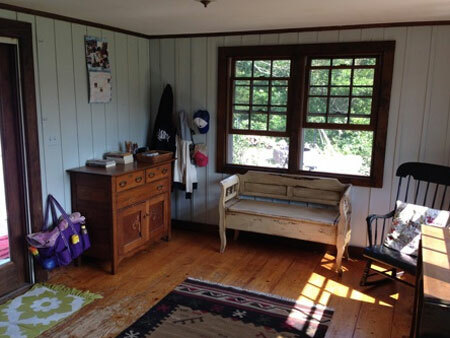 A 15-minute House of Clean might also be something to do each day, especially if you have young children who need more supervision while they complete chores or if you need to wear a baby while you work. The sense of “we’re all in this together” and the clearly-defined work period have helped it become successful in my house. Give it a try and let us know how it worked for your family. Of course, uncluttering solutions are as varied as there are people, but I have to imagine there’d be a variety of things that would work for everyone. Have a Netflix subscription, not an enormous collection of DVDs. Own a sharp chef’s knife and take a knife skills class, not a Slap Chop, Watermelon Knife, Pineapple Slicer, Mayo Knife, Bananza Banana Slicer, the banana shaped Banana Slicer, Garlic Zoom, etc. Own a dynamicFRAME, not a giant mess of your kid’s artwork on the front of your refrigerator. Own a filing cabinet, not a cardboard box where you throw important papers. Use a daily calendar, not a series of sticky notes stuck to the front of your computer monitor, bathroom mirror, or meeting reminders scribbled on the palm of your hand. What fun additions would you make to this list? Share your Own This, Not That suggestions in the comments.